PROs: Besides the free-wheeling joy the feisty 2014 MINI John Cooper Works brings to highway driving, you’ll also love its road handling, particularly in an urban environment. 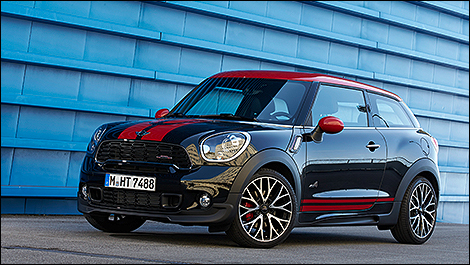 And although the MINI JCW delivers relatively better performance, it also boasts relatively low fuel consumption. CONs: The biggest problem for the 2014 MINI John Cooper Works is its price tag, which has been appreciably hiked northwards…which doesn’t gel with its smaller size and an underwhelming finish of dubious quality. So we can also add a discomfort factor over longer distances.